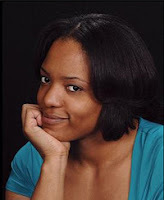 I very happy to welcome Jaime Reed, author of the YA novel, Living Violet and The Cambion Chronicles series. I reviewed (and loved!) Living Violet yesterday, click here to read my review. JR: It’s a lot of things, actually. I can’t really pinpoint one specific burst of inspiration. I just remember thinking about supernatural creatures and how normal people would react if they came across one, as oppose to what you usually read about. The creature mentioned in the story actually came from my love of vampires and their origins, and it kinda snowballed from there. As far as settings and world building, it’s a collection of life experiences and living in my home town. Me: Where did you get the inspiration for the characters? JR: Life. I love to people-watch and study nuances of a person’s personality. But most of the characters are bits and pieces of people I know, friends, and family. It’s funny when they come to me after reading the book and try to guess which character they are. They find it flattering. Me: Which character from the book is your favorite? JR: I don’t really have a personal favorite, but I do have a strange crush on Robbie Ford. He has the smallest role in the entire story, but I’m in love with him. I have no idea why. He’s kinda pervy. Me: I see the attraction. Boys who are master hackers and can throw epic parties dressed only in a silk bathrobe and boxers fascinate me. I hope we see more of him in the sequel. Me: What do you have in store for The Cambion Chronicles? How many books are planned for the series? JR: I signed on with my publisher for three books, so it’s definitely going to be a trilogy, but you never know. Stranger things have happened. Me: I read in your bio that you try to create characters who are people of color. Please tell us more about your motivation behind the decision and why it’s important to have characters of different backgrounds in YA fiction. Me: Do you read the same genre as you write? What are you currently reading? JR: It’s so weird. When I was a teenager, all I read were adult books, but now that I’m in my 30’s, all I seem to read these days are teen books. I could play it off and say it’s for research and inspiration, but that would be only half true. I’m not really reading anything right now, but I have a list of debut novels that I plan to dive into around February. Me: What other projects are you working on at this time? JR: I have a contemporary YA piece on the back burner and another paranormal series on hold. But for the time being, I’m focusing solely on The Cambion Chronicles. Once I finish with that, I’ll be open to just about anything. Contact Jaime on Twitter, her blog, or on Facebook. Living Violet is an awesome book and it is our January giveaway for the Multi-Cultural Book Challenge. Make sure you sign-up and participate for a chance to win. When I was younger, I used to read mostly adult fiction books but now that I'm older I read more YA titles. Go figure!! !